As Rail Services Manager, Susan Cox has responsibility for all rail commercial, procurement, and operations for Chevron Phillips Chemical Company, LP. Chevron Phillips Chemical produces petrochemicals, plastics and plastic pipe in the U.S. and in several other countries around the globe. 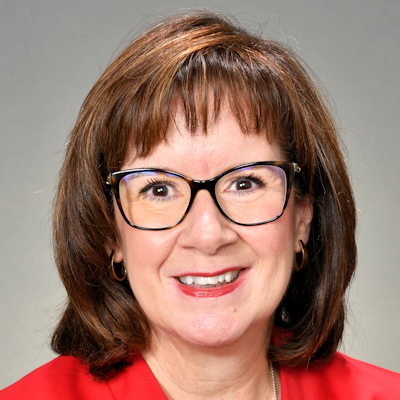 Prior to being named to her current position, Susan held several positions within operations, marketing, finance and logistics for Phillips Petroleum Company and Chevron Phillips Chemical Company. Susan began her career with Phillips Petroleum Company as a Process Engineer in a polyethylene unit at the Houston Chemical Complex, after graduating with a Bachelor of Science degree in Chemical Engineering from Texas A&M University. She has spent over 20 years working in transportation and logistics related assignments. In addition to her duties at Chevron Phillips, Susan currently serves as Immediate Past President of the Southwest Association of Rail Shippers (SWARS). In her spare time, Susan enjoys golf, gardening, and spending time outdoors in Summit County, CO. Susan and her husband, Hiram, have two grown children and live in Spring, TX, just outside Houston.